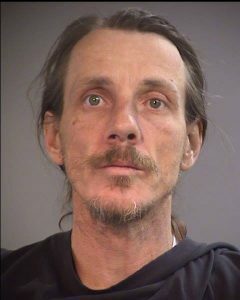 Medford, Ore. — A 42-year-old man is at the Jackson County Jail after police say he broke into a Medford business to steal a motorcycle. Officers with the Medford Police Department were called to Kawasaki & Honda of Medford just before 5:00 AM Friday, when an alarm was tripped. When officers got there they saw a hooded man in the fenced area, stealing a motorcycle. He was quickly arrested and identified as Mark Radley. Medford Police say other property was staged, but officers caught him before he got away with anything. Radley is facing charges of trespassing, attempted theft, burglary, and unauthorized use of a motor vehicle.